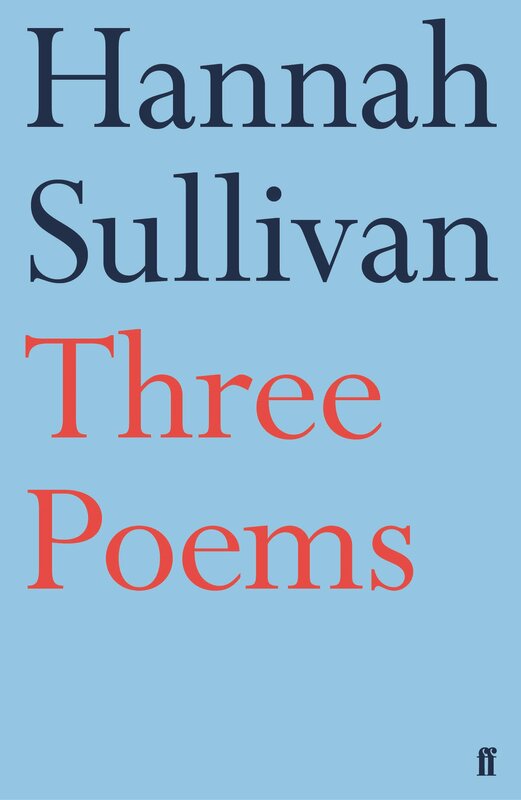 Katie O’Neill, Intern: This holiday season, one of the best gifts I received was Hannah Sullivan’s debut collection Three Poems. The winner of the 2018 T.S. 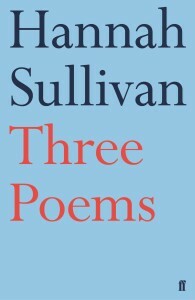 Eliot Prize for Poetry, the collection is comprised of three long poems – “You, Very Young in New York,” “Repeat Until Time,” and “The Sandpit After Rain.” Quoting from and referencing Phillip Larkin, Claude Monet, and Joan Didion, among many others, the collection is grounded in the modern experience while deftly honoring those who came before. Each poem is distinct and could easily stand alone, but together they allow the book to feel like a revelation. As someone who is “very young,” I am especially drawn to the first poem, “You, Very Young in New York,” which traces the experiences of a young woman in New York City and meditates on the nature of love and intimacy in the modern world. Containing gems of lines like, “Your friends wear flannel and McDonald’s name badges…You think the great American novelist is David Foster Wallace,” the poem skewers the pretensions of young, self-described “literary” types without being unkind. It is addressed to an unclear “you,” who might be her younger self, or perhaps to all young people, and ranges between the conversational, the descriptive, and the profound. “Repeat Until Time” explores this interest in the relationship between form and content by examining philosopher Heraclitus’ famous observation that, “On those who step into the same rivers, different and different waters keep on flowing.” She rephrases this as, “There is no stepping twice in same or different rivers” and continues down this path to consider the difficulty of originality. References to San Francisco are scattered throughout the poem, alternately celebrating and criticizing its offbeat nature and rampant inequality. The final poem, “The Sandpit After Rain,” is the most clearly personal, comparing the birth of her son to the death of her father. She compares herself to a stuffed chicken and a caged eel, references Tolkien and yoga, and explores the beauty of a children’s sandpit made dirty with litter after a storm. In a particularly striking moment, she observes that, “there is no necessary season for things/and birth and death happen on adjacent wards,/that both are labour, halting and starting:/that women are always the middlemen/finding the coins.” Moments and phrases like these are frequent occurrences throughout the collection, which is well deserving of the praise it has won for balancing precise details with larger reflections on the challenges and joys of modern life. Casey Jong, Intern: I always like to start a new year with books that will help me look to the future with positivity. 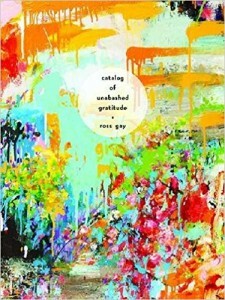 That’s why, as January came and started to go, I picked up an older favorite of mine, Catalog of Unabashed Gratitude by Ross Gay. This little collection of poetry is aptly named, both for its title poem, which is literally a catalog of things for which he is grateful, and for the overall tone of the book, which pours out color and thanks from every page. In this book, Gay often uses his love for gardening to discuss life and to speak openly, not dejectedly, about death and some of life’s hard questions, highlighting the cyclical nature of the world we are in, and the care we can give to the lives around us. Gay’s poetry often addresses the reader directly and seriously, but also with humor and real personality, as he interrupts himself or poses questions that it seems he truly has no answers for. Catalog of Unabashed Gratitude is accessible and honest, and asks us to act with care, to count our blessings, and to challenge our linear understandings of the world around us. Zack Ravas, Editorial Assistant: South London’s The Field Mice released three albums between 1987 and 1991. Though championed by UK tastemaker John Peel, they never broke into the mainstream; even so, their dreamy and introspective brand of indie pop –– what The Smiths would sound like if Morrissey really was the agoraphobic shut-in his lyrics described –– earned them a devoted cult following. Thirty years later, their influence continues to be felt: it’s there in the hushed vocals and melancholy tinge of Australian two-piece Earache, who recently put out their debut album Last on Sydney-based label Black Wire Records. 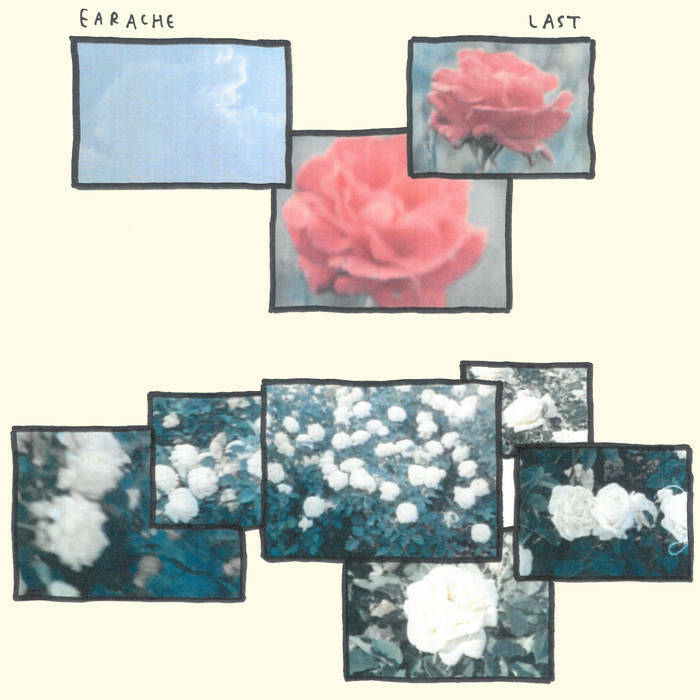 It is exceedingly difficult to find information on Earache (their Facebook page informs me I am one of 175 fans), but Last is an album that speaks for itself. Here is the first indie pop gem of 2019. Last’s eight tracks are comprised of simple but effective drum loops, sinuous basslines, and jagged guitars. Forlorn-sounding vocals from band members Gemma Nourse and David Fenderson often lie buried in the mix; one strains to catch pieces of lyrics like “I sit, drifting/Looking for reasons,” but the gorgeous melodies ring clear. As the weather grows cold in the early months of the year, one naturally reaches for warm sweaters, steaming coffee mugs, and, if you’re like me, the kind of album that rewards multiple listens on a long night. Earache’s dreamy bedroom pop conjures fond memories of early New Order, The Cure, and other new wave acts. Most of the songs on Last run brief and lend themselves to repeat plays, including standout track “Upside Down,” in which Nourse takes the lead to sing, “When I’m with him/Everything turns upside down.” It’s precisely this kind of liminal state, caught between the rapture of love and the uncertainty of the future, that so often seems best expressed by a three-minute pop song. Earache may be an up-and-coming act, but they already have the essentials down. party that’s as much a cautionary tale as Lee’s. 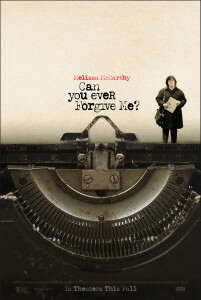 That’s perhaps what’s so appealing about Can You Ever Forgive Me?, it evokes empathy for the afflicted, but presents shameless self-regard as unredeemable. Laura Cogan, Editor: There is an expansive tree outside my window, whose branches often tap or trace the glass, according to the direction and force of the wind. I’ve long appreciated the dense shade and privacy it provides. But one day last spring as I stood at the open window daydreaming, observing the slice of visible sidewalk below, a breeze shook the branches just inches from my arm and I saw, with a start, that the branch and indeed the entire tree was blossoming with countless curled green pods. For years I’d seen this tree without actually seeing it. I had no idea it blossomed, or what kind of tree it was. I’ve been thinking about this kind of environmental blindness lately, and trying to shake it off. Even for those of us living in a city there is so much of the natural world living all around us and being ingenious and remarkable every day. My own neighbors include bats (of which I have other, more unnerving stories), crows, geese, herons, egrets, hummingbirds, coyotes, turtles, bees, and raccoons, among many others. And nearly anywhere we look there are local environmental issues calling out for attention. There’s an inescapably obvious irony in the fact that I care about the environment and the creatures with whom we share this planet, and yet am often so immersed in such concerns in a macroscopic way that I am blind to their most local manifestations. Two books I’ve been reading address this idea directly and persuasively, in quite different ways. The End of the End of the Earth collects Jonathan Franzen’s recent essays, nearly all of which (and certainly the best of which) are preoccupied with birds in one way or another. 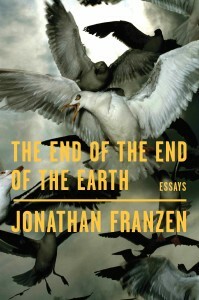 Franzen tries to clarify his concern (which has previously landed him in controversy, perhaps because he was partially misunderstood—or perhaps not) that by focusing exclusively on the emergency of climate change, we risk overlooking other, smaller scale environmental issues. Such issues can be efficient to address and can affect substantial, lasting change with striking results for individual species, a specific ecosystem, and a local economy (as he describes in a few inspiring examples). Franzen’s perspective on climate change, understood in full, is devastating—which may be the underlying reason for the backlash. Many of these essays are exquisitely well-crafted, poignant, and painfully sad. I find I don’t always agree with Franzen, but both his perspective and my own occasional internal arguments with him sharpen my perception of the landscape. 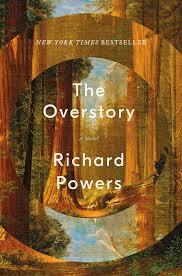 The Overstory by Richard Powers is a doorstop of a novel peopled by characters both human and plant, where the trees are just as important, and just as interesting, as the humans. If this sounds odd or tedious, it isn’t. With masterful storytelling and a confident use of poetic license, Powers tells a story that shifts perspective and directs our gaze toward the slow moving and ingenious creatures busy living their own lives right alongside and amid all our family dramas, our spiritual awakenings and failures, our loves and losses. The tree outside my window, I’ve learned, is a Blackwood Acacia, a species from Australia considered invasive. This entry was posted in What We're Reading and tagged Hannah Sullivan, Jonathan Franzen, Lee Israel, Melissa McCarthy, Richard Powers, Ross Gay, The Field Mice. Bookmark the permalink.